Wider field of view can be achieved via dual vision lens system. 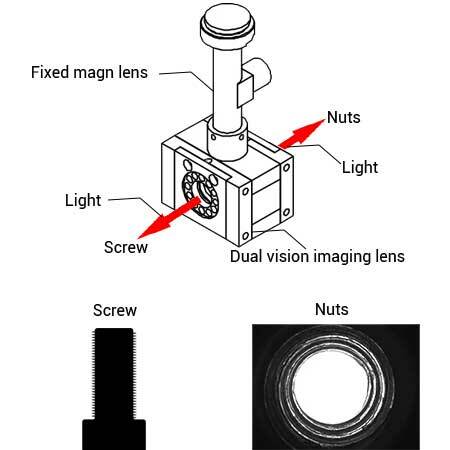 Dual imaging at the same time, separate imaging available. Double positioning. For example: nuts and screws. Built-in light source, automatic alignment, imaging up and down or left and right at the same time. Space-saving optical system combines two pairs of objects with high precision alignment, compatible with ∅16, ∅35 (below).